On most mornings DinoPapa will be sleeping while we go about doing our stuffs and getting ready to leave the house by 715am. This morning DinoPapa was up early and I couldn't resist taking a photo of the father & son pair, both feeling bright and chirpy. This rare photo of them makes me realized that because of his work commitment DinoPapa was not able to be as involved as he wish to be with DinoBoy. Sometimes I can sense his disappointment, sadness or frustration when he is unable to join a family outing or a gathering with our friends. 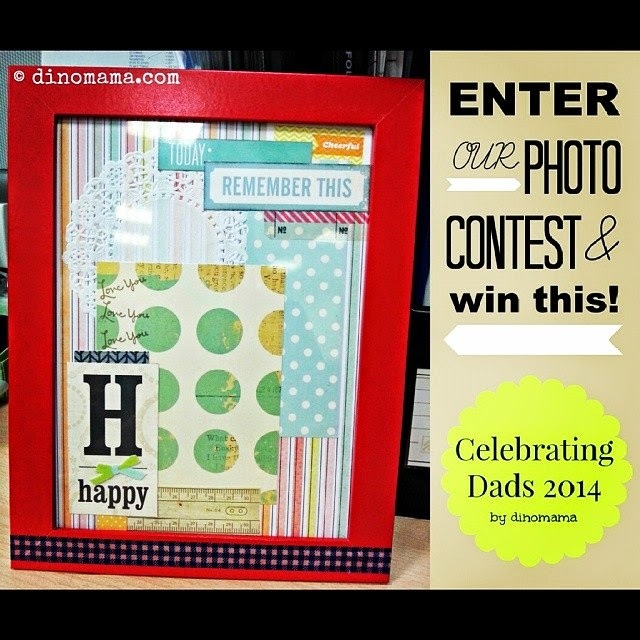 Father's Day falls on 15 June 2014, I would like to celebrate this day year in a special way by hosting a photo contest! Post a photo with a short caption on "I love my Dad because", please read contest rules below on the photo rules & requirements. I have not think about the prize yet since I just decided to do this contest 10mins ago before I started to write this post but I will update it once I have decided on it. However if you like to sponsor a prize for my contest I'll be super duper happy too! Just let me know via an email to jennlimbh(at)gmail(dot)com. We've got a prize~ Its a beautiful framed up scrapbook layout sponsored by Susan from A Juggling Mom~ WOOHOO! You can insert 1 photograph in the layout, the red frame will definitely brightens up the area where you place it on. 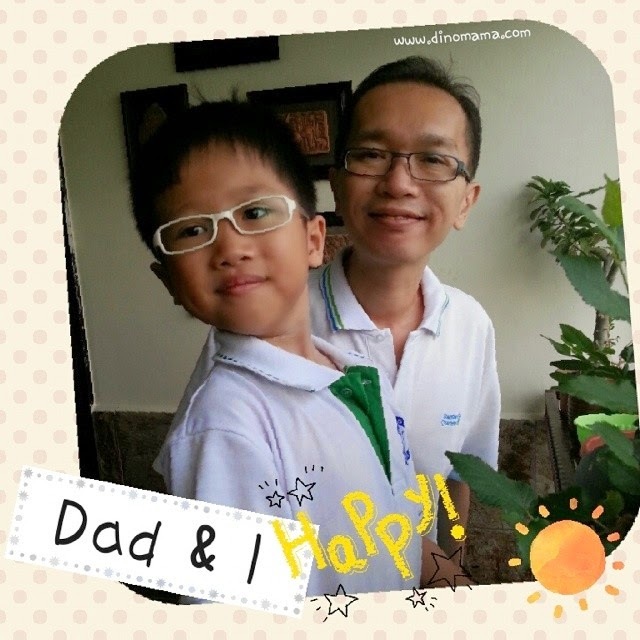 How to enter : Post a photo in Instagram with a short caption on "I love my Dad because...", include the hashtag #celebratingdadssg and tag us @din0mama. Photo requirements : Photos MUST include a DAD that is related to you. It can be your child(ren) with his dad or grandparents, you with your dad or father-in-law. Terms & Condition : A winner will be drawn the old school way; names in a box and DinoPapa will pick a winner. Winner will be notified within 24 hours after the contest ends and winner will have 48 hours to respond. Failure to do so will render the draw void and a new winner will be picked.